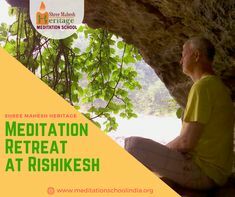 Shree Mahesh Heritage Meditation School, from the foothills of Himalaya, Tapovan Rishikesh, India introduces a short term, 100 hours Meditation training certification course for the beginner level of meditation practitioners. 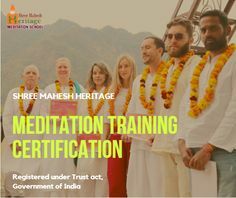 The program covers Yoga meditation postures, Hands gestures, breathing techniques for balancing energy and chakra, Yoga meditation philosophy, sacred Beej mantra chants, teaching methodology skills. The maximum participants in the group are 15. Dates and Fee & Policy – Arrival accepted a day before the program dates as below. It is a 10 Days training program with a Zero-Refundable Policy against cancellation, no show or leaving the course program in-between, whatsoever the reason is. One Time transfer to other month course is permitted based on the minimum 30 days advance notice from the date of course starts. 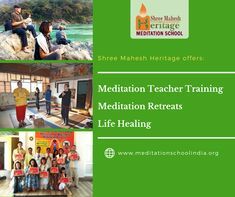 Aspirants of 100-hour Meditation training need to register themselves paying a Non-Refundable advance deposit towards confirmation Per person $100. Your booking amount is Non-Refundable in any case. 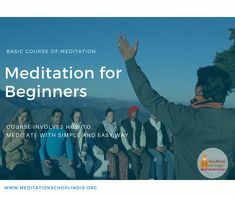 This program is designed to offer multi-style meditation techniques teaching and, in-depth knowledge sharing to the beginner and Intermediate meditation practitioners. 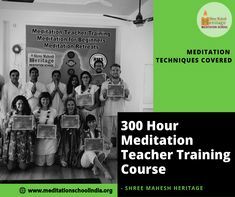 You will have an opportunity to learn, experience, and be inspired by our Meditation Teachers, instructors and trainees of 300 Hours Meditation teacher training participants. 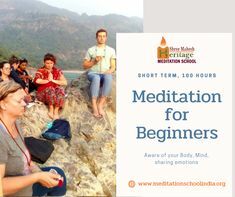 Who can join our 100 hours Meditation Training Certification course? People who wish to transform themselves into a loving, caring and compassionate person. 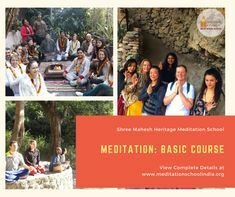 Who should not apply for this Meditation Training Program? • People beyond the age group of 60 -85 years. • People addicted to alcohol or drugs of any kind. • People on a specific diet regimen. • People suffering severe depressions, anxiety, chronic high or low blood pressure, arthritis, spondylosis or anyone who are unable to walk, dance or sitting for hours or handle activities for 8-10 hours or people on medication on these conditions. • Skills of balancing and channelizing your own physical-mental-emotional energy and helping others in the same. 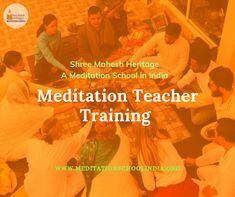 • Skills of teaching a variety of meditation techniques in a group or individual. • Skills of designing a workshop on a particular Meditation technique combining with pranayama. • A deeper understanding of your own mind-body system and practice tools to change your life positively. 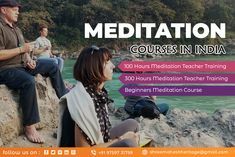 • Knowledge and Experience a variety of meditation techniques and their application in daily life. • Better self-confidence, inner peace, clarity, and creativity in personal life. • A deeper understanding of the basic principles of different eastern and western meditation techniques. • Understanding the core effects of various meditation techniques on physical-mental-emotional states and the ability to share the same with others.